BUCYRUS — This week is In-Demand Jobs Week in Ohio and OhioMeansJobs-Crawford County — Crawford County Job & Family Services, 225 E. Mary St. — is hosting an In-Demand Jobs Open House to spread the word that many good-paying jobs are available locally in a variety of industries. Join us for a week-long celebration of the jobs, industries and skills that are in-demand in Ohio and our community. Stop in anytime May 7-11 from 7:30 a.m. and 4:00 p.m. to browse in-demand career information, discover current job openings available in our community, talk to area colleges and career tech schools, find out about apprenticeship and on the job training opportunities, take a career assessment and fun personality profile to find your ideal job, and get the resources you need to plot your course for the jobs of the future. Schedule of events can be found online at www.ohiomeansjobs.com/crawford or facebook.com/Ohiomeansjobscrawford or by calling 419-562-8066, ext. 300. More than 200 jobs in Ohio are considered “in-demand” based on labor market information, job postings on OhioMeansJobs.com, JobsOhio regional forecasts and employer forecasts. 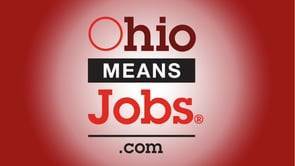 To see a list of in-demand jobs in Ohio visit www.OhioMeansJobs.com and click on the orange “thumbs up” icon.